The garbage disposal: most homes have them, but how much do homeowners really know about using and maintaining them? Here are a few helpful tips to keep this misunderstood piece of plumbing running well. While we all know that putting objects like silverware in a disposal will mean a call to the local plumber, homeowners may not realize that these six items can also be harmful. Grease: grease can clog up not only your disposal but can also be harmful to other pipes in your home, too. Combustibles: putting flammables through the grinder can cause damage, injury, fire or worse. Potato Peels: mashed potato peels mixed with water can create a thick, sticky mixture that can cause gummy clogs. 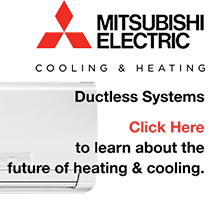 Hot Water: cold water should be used when running your disposal. Hot water will melt any grease in your disposal, and the build up from this will create clogs over time. Large bones: the blades of the grinder can be damaged by large bones plus the bones may cause pipes to clog. Expandable Foods: any food, like pasta or rice, that expands in water can result in clogs, even after being run through the grinder. Proper maintenance of the disposal can also help avoid the need to call the local plumber. Here are a few maintenance tips to follow. Running Water: always use cold water, never hot. Regular Use: running the disposal with cold water can extend the life of the disposal as it prevents rust and corrosion. Dish Soap: a small amount of dish detergent with the cold water running can keep pipes in good working order. Keep the water running for about 15 minutes. Smells: garbage disposals can get smelly. A simple solution to this is to occasionally grind up citrus peels. Small Bones: while large bones may damage a disposal, small bones actually help by loosening debris stuck to the walls. Ice Cubes: 10-20 ice cubes once a month or so sharpens blades and breaks down grease, especially in nooks and crannies that are difficult to reach. 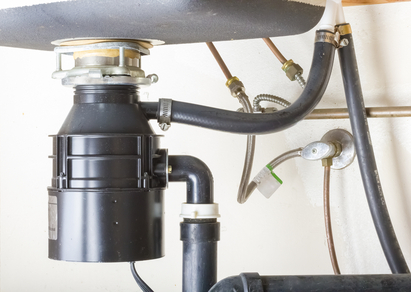 Despite a homeowner’s best efforts to use and maintain a garbage disposal properly, there will come a time that the help of a professional plumber is required. When that time comes, contact Fast Response Plumbing.